I wanted to share this letter that a Love Her Wild member, Becki Read, wrote to me. Becki joined me on the Everest Adventure and is now a dear friend for life. Recently, she decided to become a Patroen and hearing her reasons why was really touching. I hope that the community can continue making a difference to women’s lives in this way….this is what it is all about! Please do take a look at the Love Her Wild Patreon scheme. 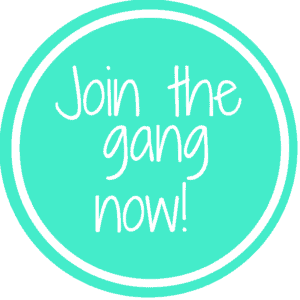 For as little as just a couple of pounds or dollars a month you can become a member (with rewards!) and help keep the community going. Why am I supporting Bex and the Love her Wild community? In a nutshell, because joining Bex on one of her adventures as breathed new life into my life and is changing the way that I look at both myself and the opportunities around me. This time last year as I was seriously struggling to come to terms with the fact that both my daughters had left home within 9 weeks of each other, and I was feeling bereft. I was suddenly aware that I needed to do something in order to bring myself out of my gloom, but also to try and discover a new lease of life and to find new hobbies, interests and importantly, self-confidence. At the end of December I signed up to an outdoor magazine’s challenge to walk 1000 miles during 2017. 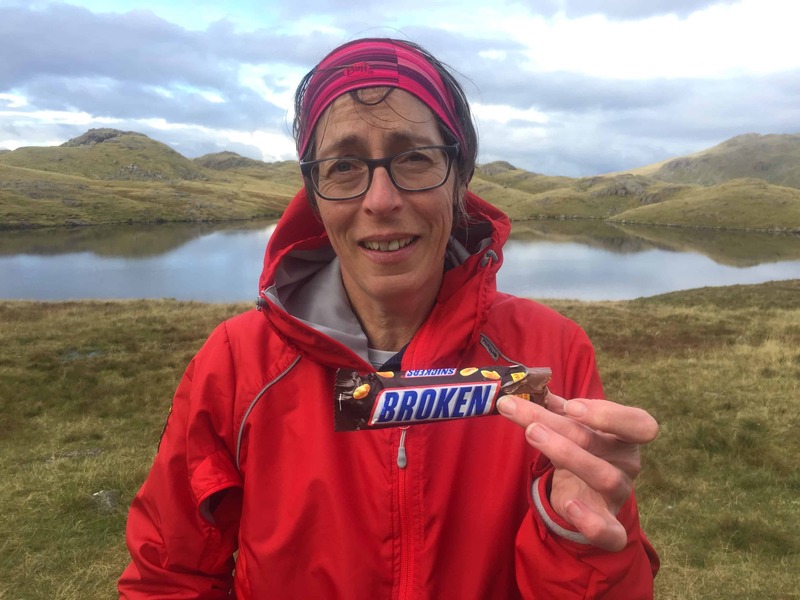 By the beginning of February I had found that I quite enjoyed walking and signed myself and my husband up to do a 100km walk in 48 hours in aid of Mind at the end of May. 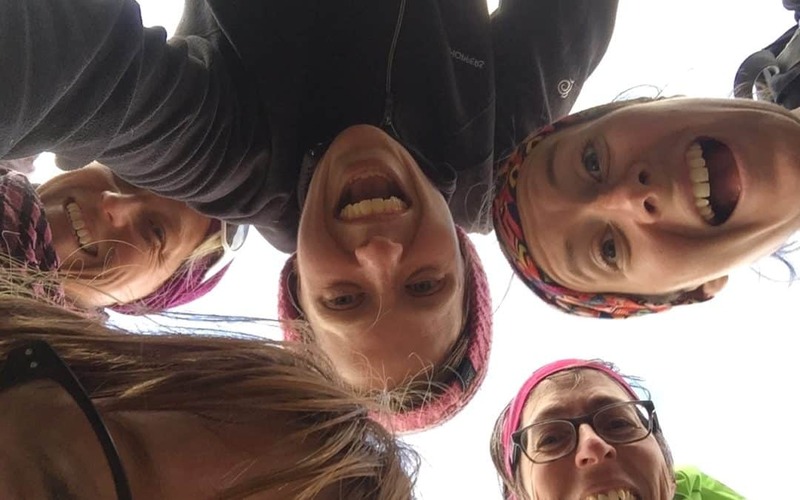 During March I saw an advert asking for team members to join Bex’s all-women adventure to attempt to scale the height of Everest, over 5 days in the Lake District, carrying all our kit and wild-camping every night. There was something about the challenge that appealed and on the spur of the moment I applied, never really believing that I would be chosen – why would they want a soon-to-be-50 year old who’d never really done anything like this before? Much to my huge surprise, I was one of the 6 chosen, out of over 100 applications, and all of a sudden I was terrified! What was I doing? How would I cope, not only with the physical aspect, but also with just finding myself amongst 5 strangers for 5 days? Sending off that application to join that adventure was one of the best things I have done in a very long time – I had such an amazing time. I spent 5 days with 5 amazing women who inspired, challenged and supported me and breathed life back into me. We laughed, cried, talked endlessly and made friendships that I believe will last for many years to come. We actually didn’t make the height of Everest, but that ceased to matter – staying together as a team and enjoying the beautiful scenery and camaraderie was much more important – and we did make it to 6220 metres! Through pushing myself both mentally and physically, spending time outdoors, and by doing something that scared me, I have discovered a new zest for life and a confidence that I thought had long-deserted me. I loved being in the mountains, I even enjoyed wild camping and the freedom that not having to think about my children brought (!) and it has inspired me to want to do other things as well as to take a much needed step back from worrying about my children and to focus on what I want and the direction I now want my life to take. In a way that I can’t really explain I just feel more confident and positive about a future that this time last year looked really bleak as it didn’t really involve my children and for the past 20 years they had been my life. Through joining Bex, and the other 4 crazy Everest ladies I’ve realised that there’s life, adventure and love still in me and I want more from life…I’ve signed up to an event in April and my husband and I are planning a crazy little adventure of our own involving kick-scooters and the Devon coast to coast path (and more wild camping!). I’m not out to change the world, or to necessarily travel to far-flung places, but I am now up for doing things that are adventurous for me, and that’s what is so great about the Love her Wild community – it supports everyone, however big or small their adventures are, and I love that! If just one other mid-life lady, feeling scared and insecure, is inspired to do something as a result of reading about our Everest adventure on the Love her Wild page, then that’s a good enough reason for me to keep supporting Bex and the fabulous women that make up this community. I’ve never been one for taking risks, but one thing that sending off that application has taught me is that every now again, scaring yourself is a really good plan!